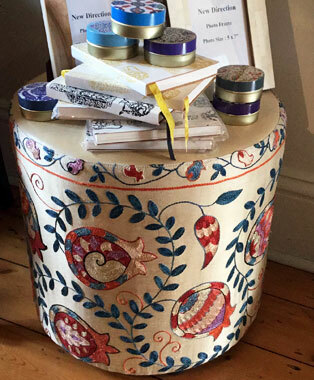 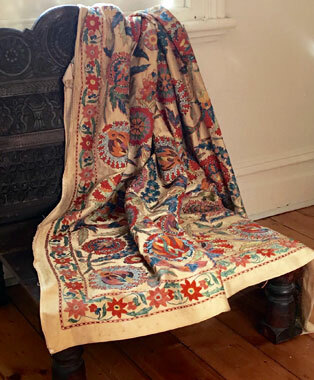 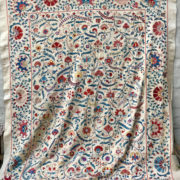 Absolutely stunning silk thread on a silk/cotton base cloth which has a beautiful sheen to it. 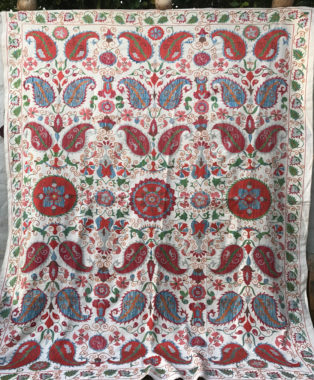 This suzani size is 160cm x 210cm. 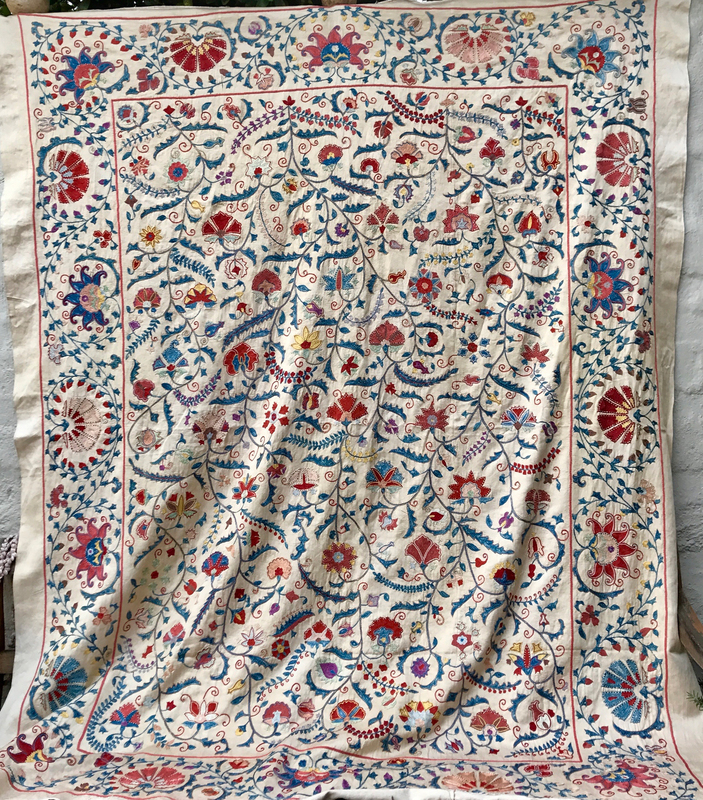 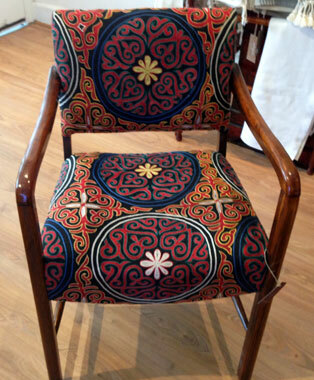 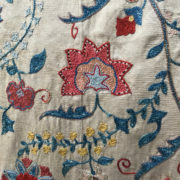 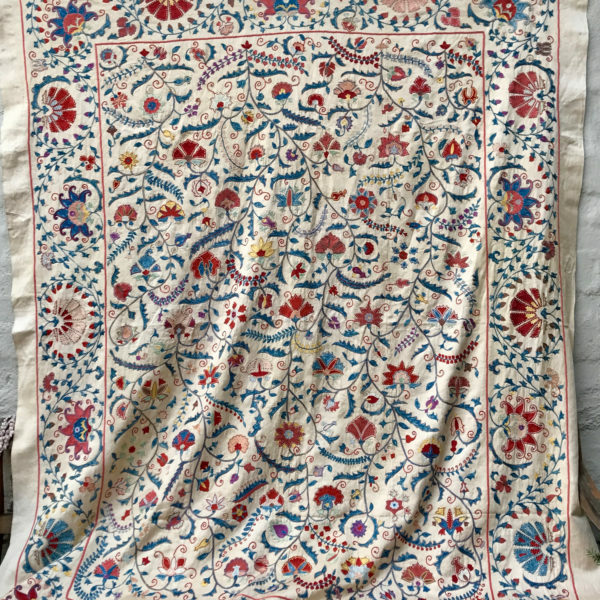 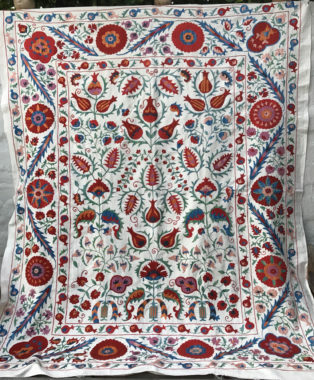 The embroidery on this suzani is predominately chain stitch and the workmanship is particularly fine.